Create an Easter Bunny Letter and make this Easter a magical experience for your child. 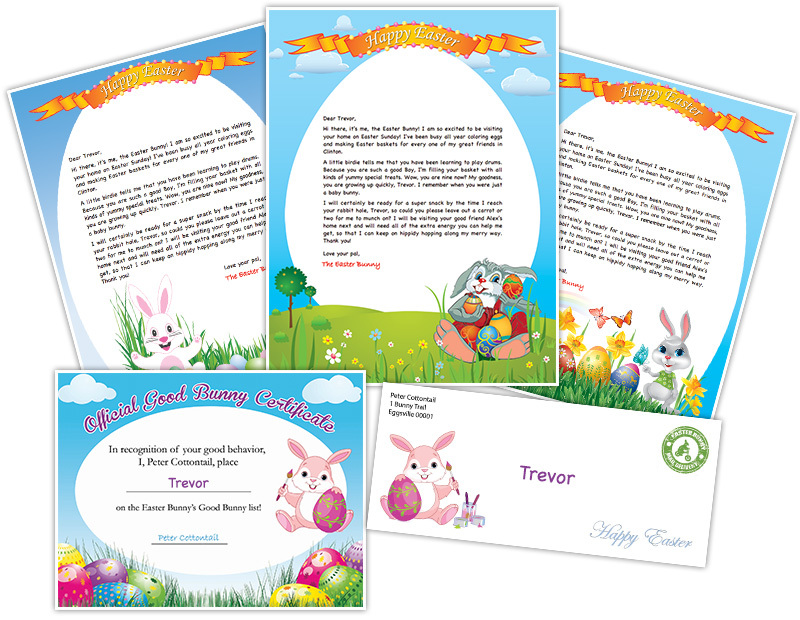 Imagine the smile on your child's face when the receive personalized letter written to them from the Easter Bunny. You can customize a letter for each of your children by using our fun and easy online Easter Bunny Letter generator. This will be one of the most memorable gifts you'll give this Easter. With over 60 personalized Easter Bunny Letter combinations, it's easy to create a unique letter for each of your children. After you finish creating your letters, simply download them to your computer to print out on your own printer.